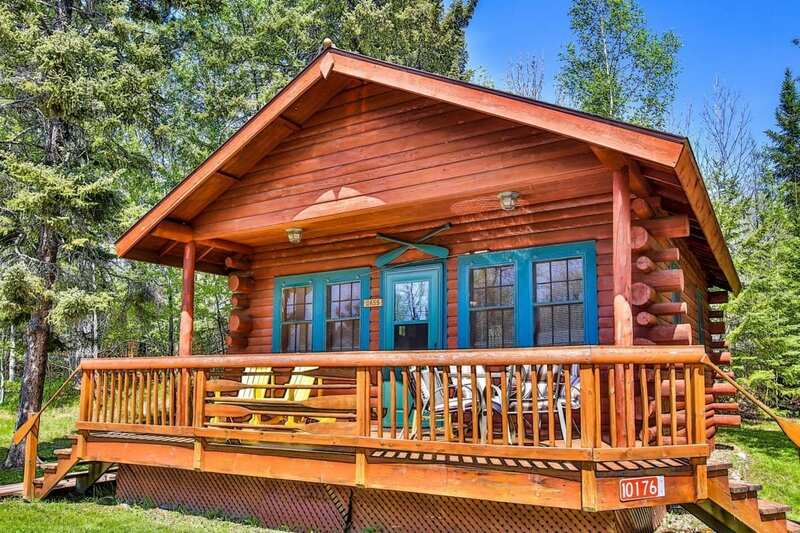 Cozy one bedroom log cabin all carpeted with nice deck. Dining area and living room with futon sleeper sofa. One bathroom & one bedroom with a queen bed. Rates listed are for up to 4 persons. 50% deposit is required to hold a reservation and the remaining 50% is due 60 days prior to arrival date. 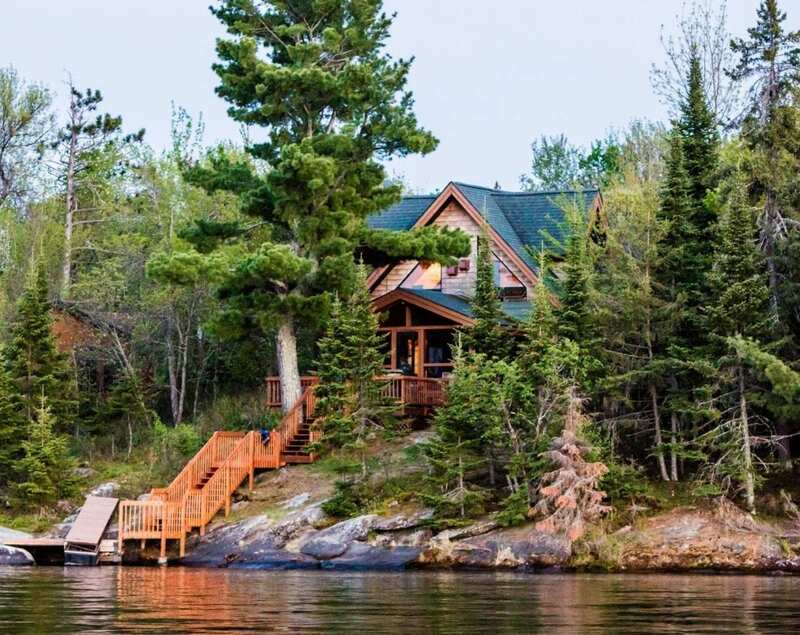 New for 2015: Nestled in the woods with a lake view through the trees overlooking a cove. Central A/C and an electric fireplace in living room. Large windows with living room located in front of glass sliding door onto deck and overlooking woods and lake. Vaulted ceilings with open floor plan with great room with kitchen, dining room and living room. Spacious deck with deck furniture. One bedroom has a Queen and two bonus beds in the sleeping loft. Hide-a-bed couch in living room. Charcoal Grill. Picnic Table & fire ring. We supply your first bundle of firewood! 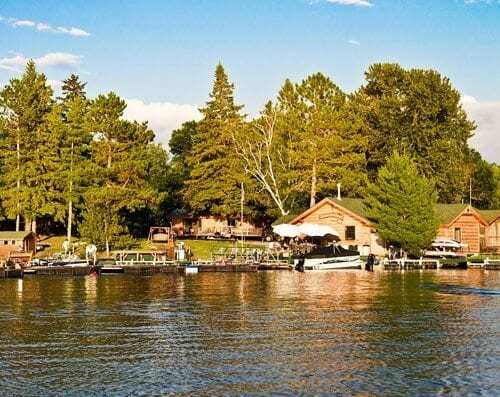 Outstanding lofty panoramic views of the lake and islands. Large windows, lay in bed and see the lake, fireplace and TV at the same time. Deck with gas grill at entrance and 2nd deck off bedroom. Large bath with soaking tub and separate shower. Dining/living room with stone fireplace. One Bedroom with a Queen Bed (and space for a second bed, crib or air-mattress). The second sleeping space has two single beds in a semi-private corner of the Loft.